Location! Location! This spacious Victorian is situated in the heart of Academy Hill and is walking distance to shops, restaurants, St Clair Park, Westmoreland Museum of Art, Lynch Field, etc. 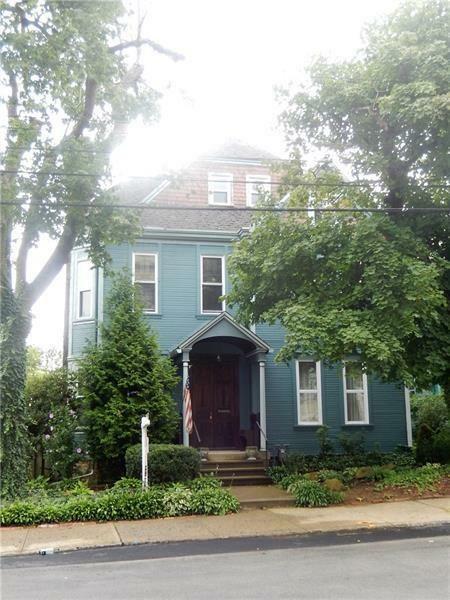 There is original woodwork throughout as well as many fireplaces, a beautiful stained glass window, 2 staircases, a walk-up 3rd floor - ideal for future finishing, a back porch on 2 floors, beautiful yard and off street parking. The cook's kitchen has been updated with an abundance of cabinets and tons of work surface. All the bedrooms are spacious with the master having an ensuite bath. Your personal touches will make this fine home a showplace once more.